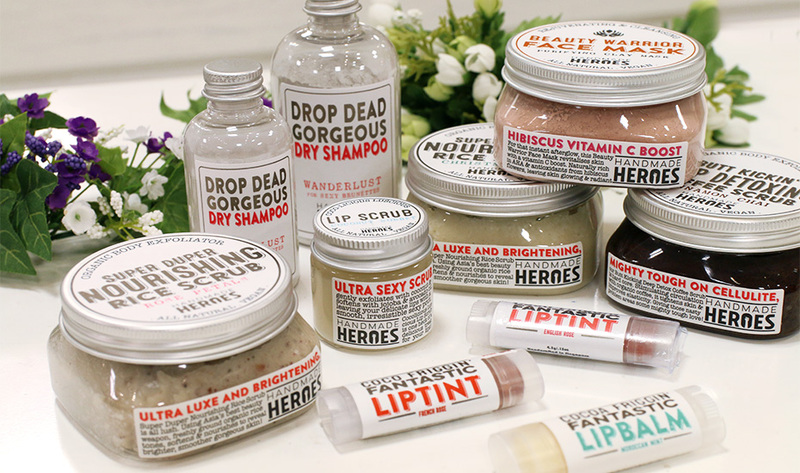 At only two years old, Handmade Heroes has fast become a household name amongst local beauty fans. 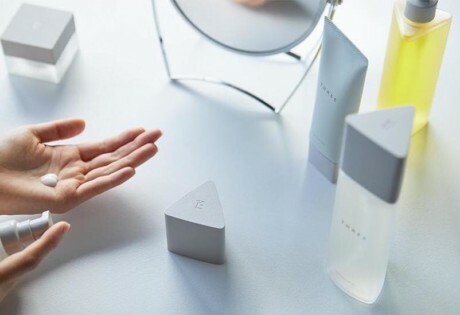 The Singaporean skincare brand is hard to miss at stores like Naiise or Isetan, it boasts a simple yet eye-catching packaging, and it’s a name one is unlikely to forget. Like Handmade Heroes, the face behind the brand is as charmingly down-to-earth. 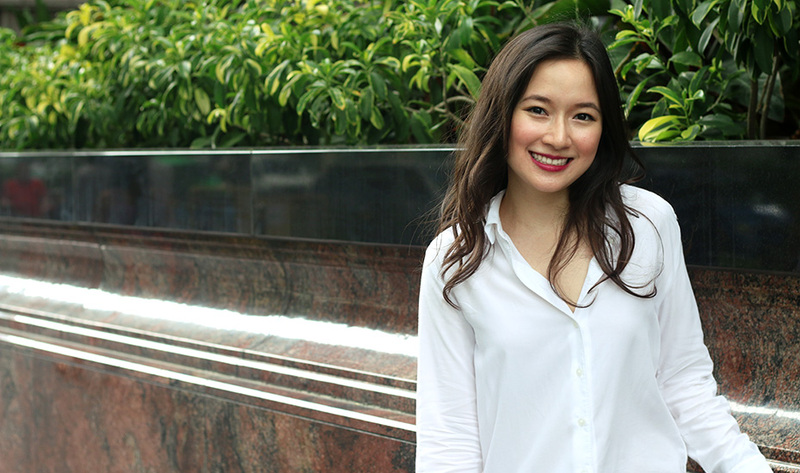 Meet Lynsey Lim: a natural beauty maestro with big dreams and an even bigger heart. 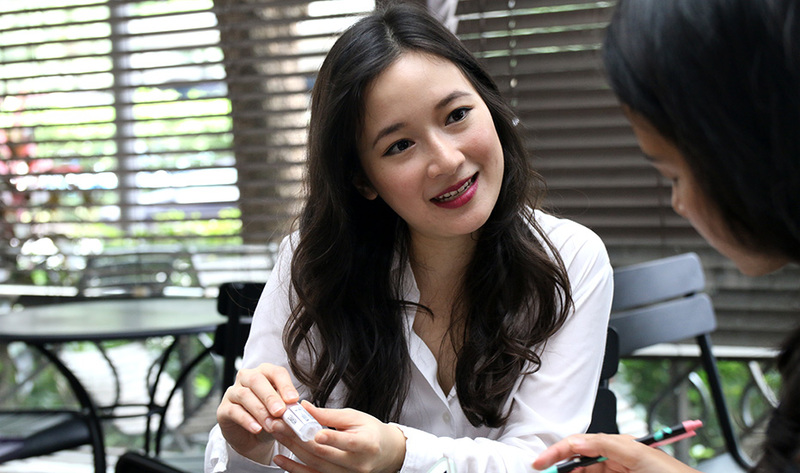 Her success at only 28 years old is enviable – today, the homegrown brand has earned cult status among Amazon beauty buyers and has recently expanded to Malaysia. But it’s not just her business savvy that has us under her spell. As we chatted about her family, her upcoming intimate wedding and her desire to aid the handicapped, her earnestness and humility shone through. Over coffee, we got to know this inspiring personality for our Beauty Black Book interview feature. What got you started on Handmade Heroes? I started experimenting with making my own skincare products when I was about 16 or 17, making basic stuff like avocado face masks with simple stuff you’d find in your kitchen. When my sister got married, she asked me to prepare bridal gift sets for her bridesmaids. I packaged it similar to what you see today, though the only difference is the name – I used to call it Lynsey’s Amazing Lip Balm *laughs*. Once I gave it to them, they decided to buy my products for their friends. working in a bank, doing finance. I was there for about a year and I quit to do this. On the outside, I seemed okay; but on the inside, I was deeply insecure. I moved from a salaried job with insurance, to being self-employed with no status or benefits. I felt lost, especially when all my friends had stable jobs. It was difficult, but I kept reassuring myself that it’d all work out. How did you get the word out about Handmade Heroes? For the whole of 2015, I was selling my products – literally – every weekend, and didn’t even get to see my family. But that’s how I got noticed by Isetan. They spotted us in February and had us do a trial run in March. In April, the deal was official. As for Naiise, they too spotted us from our pop-ups. 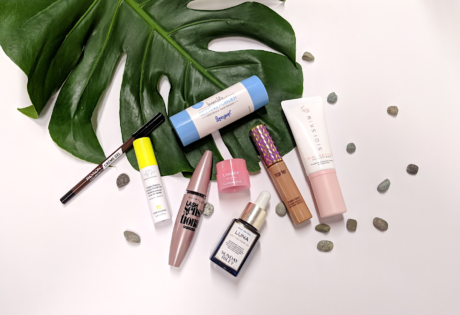 Where are your products available right now? We sell to Isetan, Naiise, Grassroots Book Room and Amazon US (we won Amazon’s choice national best dry shampoo!) and UK. the lip scrubs and lip tints. Right now. we have about 12 to 13 products. It’s a very small range – I prefer to keep products streamlined, perfect it, then expand it. That explains why we have three different types of lip balms and three different scrubs for now. How do you set the brand apart from its many competitors? Some companies say they are 100%, but use maybe only 10% of natural ingredients. We, on the other hand, are 100% natural. We don’t use synthetic chemicals or preservatives. We preserve our products by not introducing any bacteria to it – everything has to be clean so there’s no room for bacteria growth. We don’t introduce water either, ’cause once you need it, you’ll need preservatives. Our products are self-preserving with natural ingredients like oils and vitamin E.
Plus, we’re not just natural; we’re also vegan. We don’t use animal by-products like honey, milk, beeswax – the usual stuff you’d find in natural and mainstream skincare. We’re also against animal testing. What would you say to naysayers who don’t believe that Handmade Heroes is 100% natural? Our ingredients list will tell all. On our website, we list both the scientific name and common name so people would know what it is. We also provide descriptions of each ingredient. Your personal fave from Handmade Heroes is.. The Coco-Friggin fantastic lip tint in French Rose. I use this for a bolder tint on a natural day or apply it on top of a drying lipstick. I also use it as a blush – it’s really easily blendable. The Beauty Warrior face mask (French Green Clay Mask) as it really freshens up skin and throws out toxins and dirt. 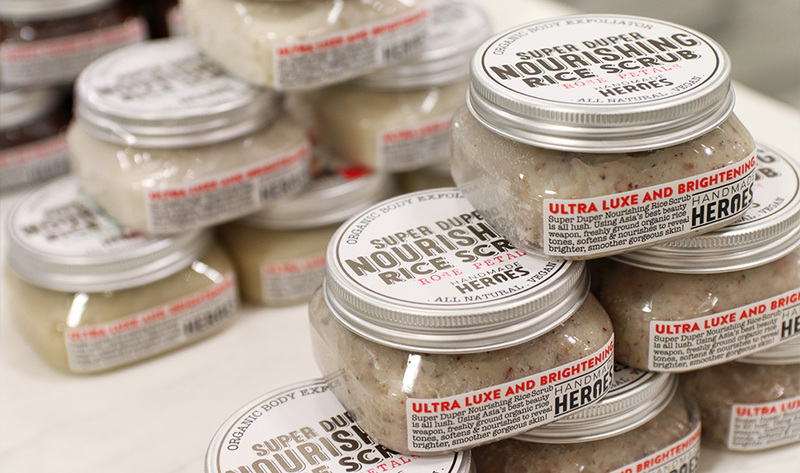 Next is the Super Duper Nourishing Rose Petal rice scrub. As you can see, we use a lot of local beauty regimes or traditions, with ingredients like rice, turmeric and ginger. My mum. She looks 40-ish but is actually 61. She told us to keep our skincare routines simple and not to overload our faces. All she does is cleanse and remove makeup when necessary. My skincare routine was taught by her. Wait, you’re telling me that’s all you use on your face? Yep. I keep it as natural as possible. People are always shocked when they ask about my own skincare *laughs*. I remove makeup with an oil-based remover, then cleanse. I don’t scrub, but I use my clay mask as a micro exfoliator once or twice a week, depending on whether I’m breaking out. People don’t believe that I don’t wash my face. So you just wipe it off as you would in a facial? Yes, exactly! It’s contrary to industry standards or beliefs. We (my mum and I) barely touch our faces. I’ve tried using hyped-up Korean moisturisers, toners, different products. But I believe all of this is gimmicking and marketing. They’ll tell you that you need this and that for good skin. I know what you mean. I still haven’t found the right routine for me. It’s hard, right? When you’re using so many products on your face, you don’t know what’s good or bad for your skin. Like the 12-step rule trend. You mean the 12-step Korean skincare routine? Yes, I think it’s ridiculous. I don’t see how putting that many chemicals on your face could actually help. So what would be your own personal skincare tips? I like using herbal teas. Let’s say I’m boiling a pot of tea, I’d usually mix it with the Handmade Heroes face mask ’cause it’s in a powder form. Peppermint will tighten skin, lavender will soothe, while green or Oolong tea provides antioxidants. Apply with a cotton wool and don’t rinse. What brands do you look up to or see as having a similar skincare philosophy? Fresh. They started out very small as well. The founders are a couple – a husband and wife who made soaps and emphasised quality and natural ingredients. Similarly, Handmade Heroes was founded with the support of my partner, though he works behind the scenes. If there were no limits, what would you imagine for Handmade Heroes? I want to be able to assist local communities with hiring the disabled. 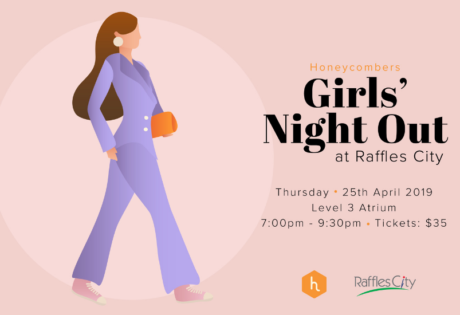 Last year, we reached out to 50 for 50 SG and had two from the disabled community working hand-in-hand with us as a family. In terms of our staff, I’d want to keep it small just so that it’s more close-knit. I don’t believe in hierarchy. We’re looking at more products for a skin and body line like deodorants, perfumes, cleansers. As for cosmetics, perhaps even blush, but not a wide range – just core colours you’d need in your makeup bag. As I always emphasise, Handmade Heroes is, after all, about key and core products you’d need in your everyday life.